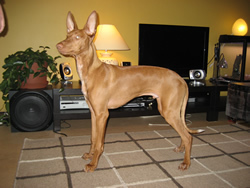 Pharaoh Hound Breeders & Puppies For Sale If your a Pharaoh Hound breeder and have Pharaoh Hound puppies for sale, send us your details for free and we will add to our Pharaoh Hound Breeders page. 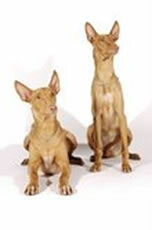 Pharaoh Hound Rescue Center Visit the Pharaoh Hound rescue centers if your looking to rescue a Pharaoh Hound , as well as learn more about the breed or just support the rescue centers for there hard work. 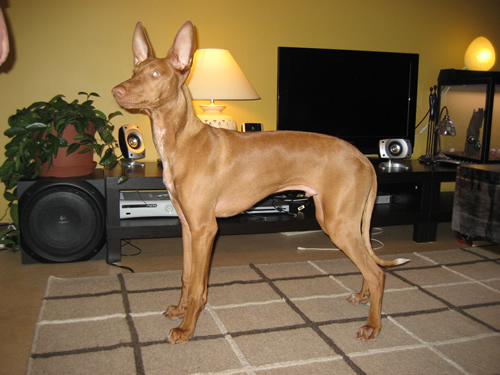 Origin / History The Pharaoh Hound is native to Malta, where it is known as the Kelb Tal-Fenek (rabbit dog) and revered as the national dog. Although it bears some similarity to ancient dog breeds such as the Mexican Hairless, DNA tests show it is a fairly young breed. 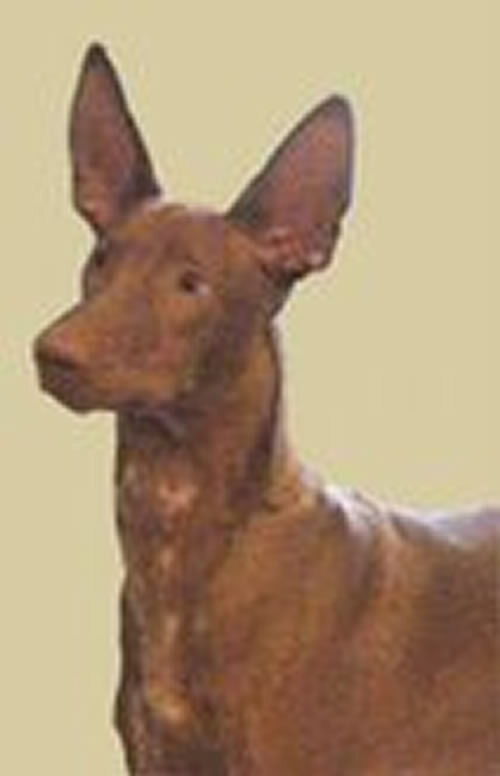 Its ancestors, most likely a group of North African sighthounds, have been traced to 3,000 BC, but the modern-day Pharaoh Hound only become known in the early 20th century. The Maltans have kept the breed remarkably pure throughout its existence, which is why it still closely resembles its forerunners. Its elegant stature and graceful form have made it a favorite among the elite within and outside its home country. It was recognized by the American Kennel Club in 1979 and was officially admitted into the Hound class in 1984. 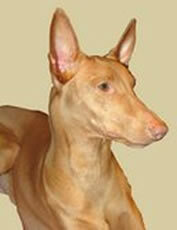 Appearance The Pharaoh Hound is graceful, athletic and light-muscled. Its short glossy coat gives it a sleek form, and its small, light-colored eyes create a kind and intelligent expression. The head is wedge-shaped with a flat skull and long, slim muzzle. The ears should be prominent, proportionally large and fully erect. Colours The coat should be rich tan, red, or chestnut, preferably with a white tip on the tail. White markings are allowed only on the chest, toes, and across the line of the face; there should be none on the back or sides. Temperament Pharaohs are good-natured, intelligent, and independent. 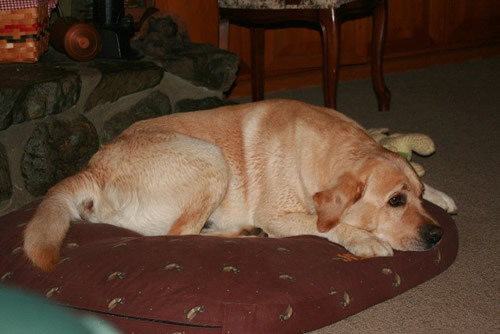 They are very loyal to their owners and make excellent companion dogs. They can be happy and playful around children, and quiet and affectionate with adults. They can be a bit reserved around strangers, though, so it may take them a few days to get comfortable around their new family. Pharaohs don’t crave attention, but they appreciate people who rub and pet them often. Height and Weight The standard height is 23 to 25 inches for males and 21 to 24 inches for females. The ideal weight is 45 to 55 pounds for both sexes. Common Health Problems The Pharaoh is a remarkably healthy breed, since it’s fairly new and there hasn’t been much room for irresponsible breeding. However, they are not immune to common dog diseases such as hip dysplasia, kneecap problems, and eye disorders. Their slim figures also make them prone to colds and frostbite. Living Conditions The Pharaoh will do well as an indoor dog, but a large yard is recommended as it’s relatively idle indoors. It prefers to sleep indoors close to its family, but a well-insulated doghouse will do in the summer. It’s very sensitive to cold, so owners should take extra effort to keep it warm in the winter. Playing yards should be fenced as these dogs tend to wander off to follow scents or small prey. Exercise Requirements The Pharaoh’s light muscles need a regular, moderate workout. Owners should set aside at least an hour a day to take the dog out, whether it’s walking on a leash or trotting alongside a bicycle. Playing in a large yard will also take care of some of its exercise needs. Training Requirements Pharaohs are very intelligent and easy to train, but handlers should take time to know the dog’s character. They respond best to calm but firm training. Repetitive commands should be avoided as this can irk the dog and make it stubborn. They often do well in competitive obedience, especially if trained at an early age. These dogs can grow up timid and shy, so they should be socialized as pups. Life Expectancy Pharaohs usually live 11 to 14 years. Grooming This breed requires very little grooming. Its short coat has little to no shedding, and it has a clean, pleasant smell unlike many large breeds. Occasional combing with a rubber brush should be enough. Bathe only when needed, and use a dry shampoo to maintain the coat’s natural shine. More Pharaoh Hound Information: Check out our Pharaoh Hound Clubs and links to more informative websites dedicated to the breed. Photos with thanks to Linda Carlisle, www.sugarpinelabradors.com.